As part of ICA's strategic plan, we've launched our Vehicle Technology Portal for car wash owners and employees. In partnership with Schwartz Advisors, we've built the tool to be a resource for you in dealing with the ever-evolving new vehicle technology systems. You can use the portal at vehicles.carwash.org to see how to disengage and re-engage various automatic detection systems. 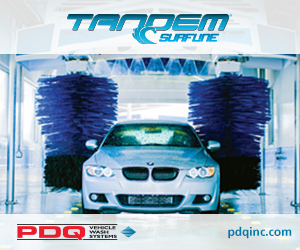 This work is part of our ongoing effort to address "washability" in the professional car wash industry with automtive manufacturers. Visit http://vehicles.carwash.org to view the full article online. 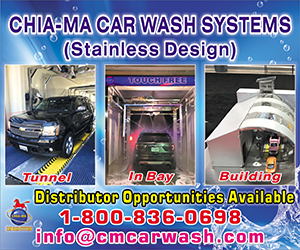 Last fiscal year witnessed exponential growth in deployments of express exterior car wash machines at a numerous car wash locations. 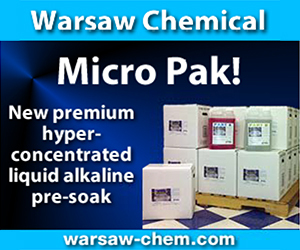 Another factor that indicates growing popularity of the express exterior carwashes is the shrinking competition radiuses. 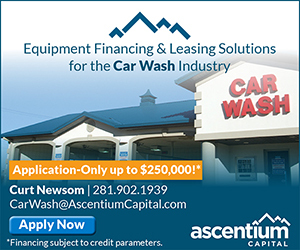 Visit https://www.prnewswire.com/news-releases/automatic-car-wash-machine-market-2025--global-analysis-and-forecasts-300554890.html to view the full article online. Ghosts and gouls took over the tunnel at WOW Carwash’s ‘Haunted Tunnel’ event October 27-31, 2017, creating a frighteningly-fun and spooky event for families. 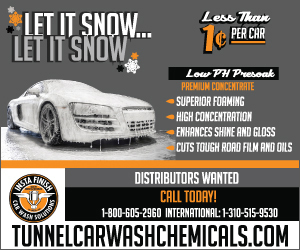 Visit http://www.carwash.org/car-wash-magazine/car-wash-news/news/2017/11/15/wow-carwash-hosts-successful-haunted-tunnel-event to view the full article online. The Royal Car Wash based in Rochester, NY, owned and operated by the Daniele family, celebrated the grand opening of the companies fifth location in Irondequoit, NY, a suburb of Rochester. This marks the fourth location in Rochester with a location also open in the Buffalo area. Visit http://www.carwash.org/car-wash-magazine/car-wash-news/news/2017/11/15/royal-car-wash-opens-new-location-in-irondequoit to view the full article online. 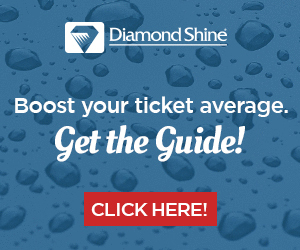 To celebrate Uber’s 5th anniversary of serving Arizona's Valley of the Sun, Jacksons Car Wash has teamed up with the company to provide discounted car wash, detail, and oil change services to more than 15,000 Uber driver partners in the Valley. Visit https://azbigmedia.com/uber-teams-jacksons-car-wash-celebrate-5-years/ to view the full article online. As a leader, you crave new talent with new ideas to drive your team forward. The good news is that the problem may not be that your team doesn’t have the ability to step up to the shifting challenges and expectations of leadership. Instead, you may just need to find a new way to unleash the leadership promise they already have. Visit https://www.forbes.com/sites/forbescoachescouncil/2017/11/13/five-ways-to-activate-leadership-potential-in-your-people/#565ca1801c7c to view the full article online. The familiar term leadership has become an unfortunate buzzword — something people bandy about without considering its deeper implications. It's the same thing that's happened with words like creativity, innovation and disruption. To help refocus, here are four pathways to becoming a more authentic leader. Visit https://www.forbes.com/sites/peterhimmelman/2017/11/13/four-pathways-to-authentic-leadership/#23690fbe4a3b to view the full article online. Because they have found profitability in their typical products and offerings, some legacy companies have a difficult time allowing new ideas past the brainstorming phase, often with the argument that a new project won't be as profitable to the business initially. It's time to curb this thinking. Visit https://www.entrepreneur.com/article/303809# to view the full article online. Digital disruption is changing almost every industry in the world. Marketing and sales are two aspects of business that have always been very people-oriented. While human interaction is still a major part of these industries, technology is changing the way things get done. Visit https://www.inc.com/james-paine/top-10-digital-disruptors-in-sales-marketing.html to view the full article online. Minne Inno – a digital media company covering local innovation economies – announced today that Hydra-Flex has earned a spot on their inaugural 50 on Fire. The 50 on Fire list reflects 50 businesses or individuals that are driving substantial change to the region’s economy through innovation. Visit http://www.carwash.org/car-wash-magazine/car-wash-news/news/2017/11/15/supplier-news-hydra-flex-appears-on-inaugural-50-on-fire-list to view the full article online. 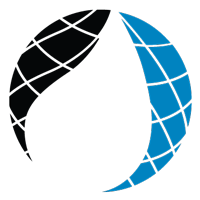 Four International Carwash Association member companies were interviewed and featured during WorldWide Business with Kathy Ireland airing on Bloomberg and Fox Business News. Visit http://www.carwash.org/car-wash-magazine/car-wash-news/news/2017/11/15/ica-member-companies-featured-in-worldwide-business-with-kathy-ireland to view the full article online.